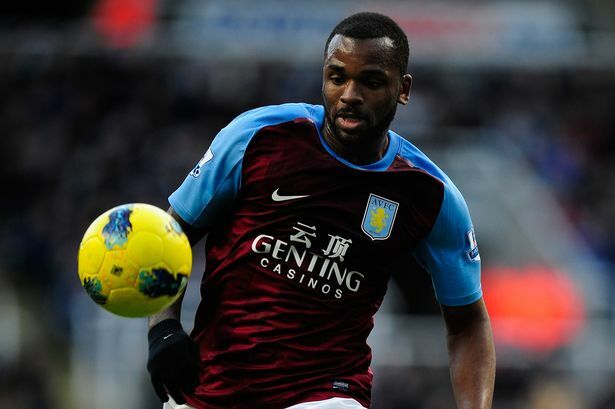 Newcastle United failed in a last-gasp bid to persuade Darren Bent to join them over Fulham, the Journal understands. The former Sunderland striker will be announced as a Fulham player this morning after undergoing a medical last night – but The Journal understands United made contact yesterday morning in an attempt to revive their interest. By then it was too late for Bent to renege on a move to Fulham on a season-long loan, and the decision was made to proceed with a switch to Craven Cottage. United had the chance to do a deal for Bent earlier in the transfer window but stalled over terms and a fee with Aston Villa. The striker’s representatives are understood to have held informal talks with United but Bent was frustrated by a delay in following up the delay, which was down to Newcastle pursuing Lyon’s Bafetimbi Gomis. Bent (pictured right) was then the subject of interest from Crystal Palace and Fulham, which will come to fruition with a season-long loan this morning. Newcastle’s last-ditch bid for Bent further underlines how desperate they are to bring in forward reinforcements, with Joe Kinnear in Brussels on Wednesday to run the rule over Belgium’s friendly draw with France. The primary aim of the scouting mission appears to have been watching Newcastle’s French internationals although none played, with Mathieu Debuchy and Moussa Sissoko both on the bench for the game. Lyon’s Bafetimbi Gomis – a priority target earlier in the window – has told friends he is unlikely to join United and there is now talk in France of him signing a new contract. It leaves Newcastle desperate for new arrivals. Despite that Newcastle agreed to loan prospect Adam Campbell to Carlisle on a month’s loan yesterday. He will be allowed to move until January if United manage to bring in the forward they are desperate to land. surprising the Premier League. United start at Manchester City on Monday and Vurnon Anita – one of the players handed minutes in Tuesday’s behind-closed-doors clash with Liverpool – believes that Newcastle should be aiming to replicate their top-five finish in 2012. He said: “This year is different. We have no Europa League and so everybody will be well rested and let’s go for the top five. Why should we not look at making it into the top five again? United continue to be linked with a series of overseas players, and the latest round of speculation suggested interest in Ajax’s Toby Alderweireld and Besiktas’ former Everton midfielder Manuel Fernandes. Neither player is understood to be on Newcastle’s radar, with the club’s overriding priority landing the striker who has eluded them all summer. Pardew is also keen to bring in another wide man, and had expressed an interest in Stewart Downing – who left for West Ham this week. The prospect of Newcastle not bringing in another forward is a worrying one, especially given that Remy could now miss several more weeks with a calf problem. “Remy is still on the road to recovery. Man City will come too soon and so might Fulham and West Ham,” he said.